Infrasound is a very real problem. Take steps to minimize the noise. Imagine that you have just moved into a new home and you continue to hear a disturbing, pulsating, low frequency rumbling noise. You think it is coming from outside. It is drowned out during the day time. But at night, when the neighborhood is quiet, you can hear it. Actually, it is noise that you can feel. What would you do? Regretfully, this scenario is based on one of our clients and the sound has a name, Infrasound. The simplest definition of Infrasound, sometimes referred to as low-frequency sound, is sound that is lower in frequency than 20 Hz or cycles per second, the “normal” limit of human hearing. Hearing becomes gradually less sensitive as frequency decreases, so for humans to perceive infrasound, the sound pressure must be sufficiently high. The ear is the primary organ for sensing infrasound, but at higher intensities it is possible to feel infrasound vibrations in various parts of the body. 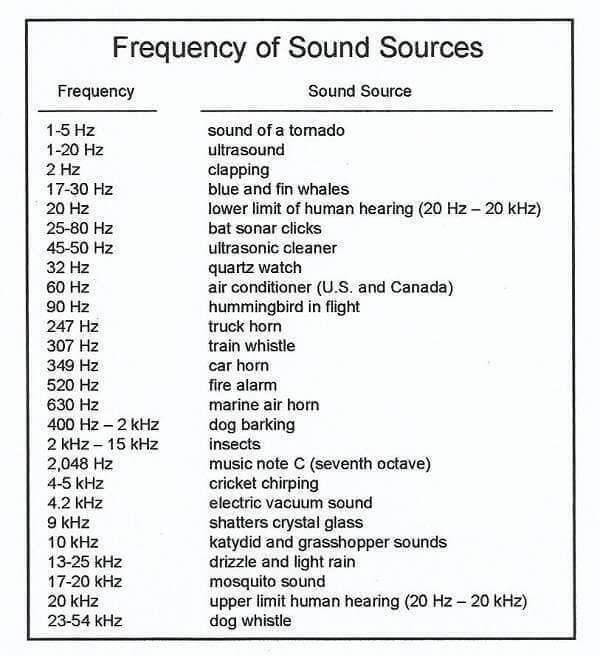 Check out this figure for a reference of “Frequency of Sound” sources. Low frequency noise, the frequency range from about 10Hz to 200Hz, has been recognized as a special environmental noise problem, particularly to sensitive people in their homes. Whereas noise sources causing annoyance in the home may be unknown, in offices they are often fans or pumps in the building services. It was shown that exposure to low-frequency sound may alter the inner ear. This results in an increase of sensitivity to low-frequency sounds, and as a result, previously imperceptible sounds become audible to the exposed person. Low-frequency noise (LFN) may have serious health effects like vertigo, disturbed sleep, stress, hypertension, and heart rhythm disorders. There has been an increase in complaints from those who have had longer exposure time to the noise of public infrastructure. It was found that the prevalence of LFN-complaints increases with age. This supports the conclusion that long-lasting exposure to low-frequency noise, inaudible for years to the exposed persons, may in the long-term result in alteration of the cochlea (the spiral cavity of the inner ear containing the organ of Corti, which produces nerve impulses in response to sound vibrations). 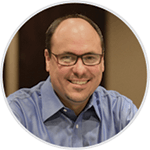 One of the things that our partner, an acoustician, said was that it’s important to identify where the sound is coming from. He also then said that there are products that can be used to help with the sound. His initial thought was that it was sound coming from within the home (like A/C unit, fridge, water heater). Unfortunately, the bass of LFN is the hardest frequency to dampen. With a wide wavelength, they travel further and induce vibrations in large objects. So, if there is the possibility of locating the source in the house (maybe try to shut off all power, using the circuit breaker main switch. Then check to see if the noise is still there), then it will be easier to dampen the sound. If the source is external or unknown, then the level of difficulty is greater. Low frequencies can originate from miles away. Regretfully, infrasound is a very real problem but without a definitive solution. After reaching out to acoustical engineers and instructors, we learned that this type of noise affects 2.5% of the population. They are prevented from living a peaceful life depending on how close they live to the source of the noise. Most people will sell their house or quit their job for relief. And while there is no means to eliminate the “hum” of infrasound, home owners can take steps to minimize the sounds.